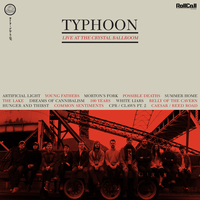 If a Fellini film, a Bosch painting, and a Rorschach drawing had a collective sound, it would be Typhoon's new release. The 14-track record Offerings is a musical and lyrical excursion into surreal imagery, eerie soundscapes, and an emotionally jarring narrative. Motivated in part by his own preoccupation with "losing it," Morton also found a treasure trove of inspiration through various books, art, and film he was immersed in during the writing of this record. "I was watching a lot of David Lynch, and thought a lot about the Christopher Nolan movie, Memento, and Fellini's 8 ½. And there were a lot of books on my nightstand that played into this. It made it a much darker album for sure," he says. "I wanted this record to be a journey, like Dante's Inferno. It kicks off with 'Wake,' where the character wakes up and he's shitting the bed and doesn't know what's going on. I was going for a specific feel that Samuel Beckett does so well," says Morton, who was reading Beckett’s Three Novels, specifically Malloy, while writing the song's lyrics. "Beckett would call it a literature of impoverishment where he'd strip away as much as he could so he could get a feeling of essence and scarcity; that's what I tried to do musically and lyrically here." Mission accomplished. Morton also masterfully makes a parallel with the character's journey to the state of the world today starting with the second track, "Rorschach," which looks at the age of information and collapse of meaning. "But, by the third song, 'Empiricist,' there's a regression to the womb where the character is back in his bed at home, talking about his range of motion shrinking. This first movement ends with 'Algernon' [taken from one of Morton's favorite short stories, Flowers for Algernon, by Daniel Keyes], where he's constantly awakening and in an interrogation with a woman—who the listener should know is his wife, but he doesn't." Musically, there is a sense of impending doom and chaos throughout the record that mirrors the character's fear and anxiety. "The claustrophobic feeling of only having the present moment and this sense of repetition is musically mirrored with this looping that runs though the record with a through line of choral parts that give it a darker, creepier feel," says Morton. To set the right tone for the story, Morton went for a less horns, more guitar approach. 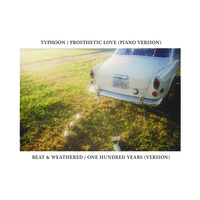 "We have a little bit of trumpet on this record and a lot of string arrangements. But we really strayed away from the horn arrangements. I wanted it to be a darker, more intense rock record, so it's very guitar-based. It's going back to my rock roots before Typhoon," says Morton. The concept of what the main character in the album is going through is also meant as a way of explaining cultural memory loss. "I was also reading historian Timothy Snyder and was inspired by his take on how America is at risk of losing their sense of history. If we haven't learned the lessons of our past, historically, we can't recognize when elements come back to haunt us, which is what's happening right now," he adds. One choral part ("Down in the floodplains waiting on a cure/ Blessed be the water/ May the water make us pure") was especially inspired by current politics. "I had Steve Bannon in mind quite a bit when I was writing these choral parts because I'm taking on this world view that I don't agree with, which is that the world needs a bloody struggle to reset — bring on the demolishing of order," he says. "'Coverings' takes the story into the devil's mansion where all the rooms are the same representing this repeated infinite present with no reference. For me, this is Hell. And, at this point, our character has lost his marbles," he explains. "At the same time, on the worldly scale," continues Morton, "this is the point where we don't have any public trust and there's no cultural memory, there's just chaos. People are becoming identical in this collapse of meaning and you have no reference. If there is any point to this record it's that — Without reference, you have an interesting concept of infinity, which can be really bad." 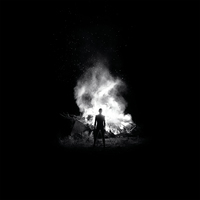 As the album comes to a close with the acoustic "Sleep," the character decides that instead of taking part of the chaos, he'd rather sacrifice himself. But there is light at the end of this dark, emotional journey. "The secret track, 'Afterparty,' is where he finds peace and freedom. It's his homecoming. He's on the other side of it now and has found his version of Heaven," says Morton. 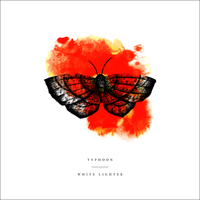 It's this level of intricacy in Typhoon's storytelling and musicianship that has helped Typhoon become one of indie rock's most revered bands. Their previous album, White Lighter, hit No. 2 on Billboard's Heatseekers Album Chart and got Best of The Year nods from NPR and Paste. Typhoon has brought their, at times, 11-piece live show on the road alongside indie rock peers The Decemberists, Portugal the Man and Grouplove, and sold out major clubs and venues across America. Adds Morton of Offerings, "I kind of wanted to make a dystopian record. If it's nothing else, it's that. If I could write my own one-line review, I'd think I'd want people to say, 'It's disturbing and unfortunately correct."